Managing your company’s documents efficiently is vital to thriving business. 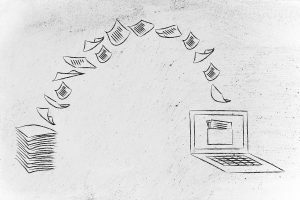 A document scanning service can help you transition to a paperless office, allowing for a boost in productivity. When converting to a digital document system, you need to consider whether to house your data on-site or with a cloud storage system. You’ll also want to make sure you choose the right service provider that can perform the types of scanning that your documents require. These and other concerns can be addressed through Record Nations and our local service experts who have experience managing document systems in virtually all industries. We make sure to scan your documents in the way that is going to benefit your business whether that be DVDs, cloud storage, USB storage devices, external hard drives, or on a document management system that you have set up already for your company. Once you know exactly what your scanning project entails, we can help you find the best way to store your files that will make them easily accessible. We always recommend organizing any digital files in a way that makes them easy to access, and finding a system that helps make your company more efficient. Our experts will ensure that everything is stored exactly how you want (or need) it. If you run a busy medical office, you’re going to want to keep all of your records on a cloud service or locally on a computer in a way that lets you pull up a patient files quickly, schedule appointments, and check on the patient’s prescription records, allergies and more. 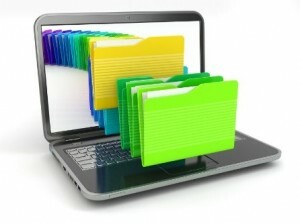 If you’re scanning personal financial records, you could easily store them on an external hard drive. Every company is different, and has rules and regulations that they must follow. Be sure to consider privacy and security options before you store all of your records on a device that isn’t as secure as you need it to be. This could include laws at the local, state, or federal levels. For decades, Record Nations has helped thousands of companies just like yours scan or convert their records and files securely and affordably. To get FREE quotes today, fill out the form to the right or give us a call at (866) 385-3706. Within minutes of receiving your request, you will have customized quotes from experts in your area that can help you with your document scanning and document conversion projects.